Carrie Ann Ryan, 9781943123810, 294pp. Adrienne Montgomery is finally living her dreams. 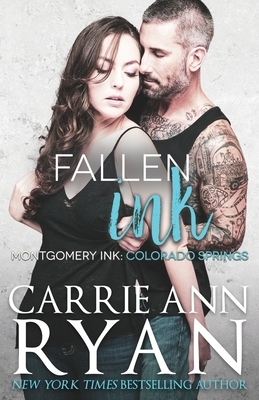 She's opened a tattoo shop with her brother, Shep, and two of her cousins from Denver and she's ready to take the city by storm with her art--as long as she can handle the pressure. When her new neighbors decide her shop isn't a great fit for the community, however, she'll have to lean on the one person she didn't expect to fall for along the way...her best friend. Mace Knight takes pride in two things: his art and his daughter. He knows he's taking a risk by starting over in a new shop with the Montgomerys, but the stakes are even higher when he finds himself wanting Adrienne more than he thought possible. The two fall fast and hard but they know the rules; they can't risk their friendship, no matter how hot it is between the sheets and how many people try to stand in their way.